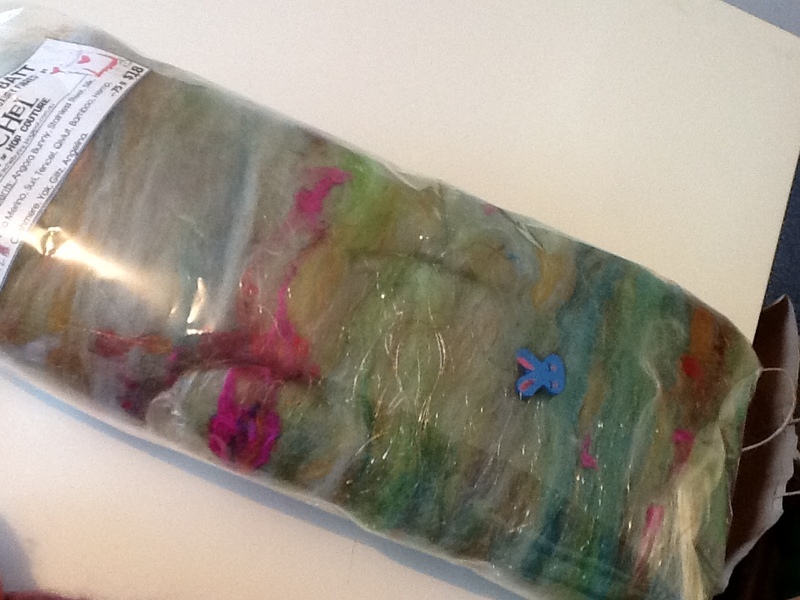 Last week I went to a yarn and craft market in Coburg and bought a beautiful batt from ixchel fibres. The batt is made up of all sorts of fibres including angora rabbit, stainless steel, silk, merino, suri, tencel, bamboo, hemp, cashmere, yak and glitz. I stopped off at the Handweavers and Spinners guild on the way home and picked up a cone of linen because I have been wanting to try my hand at core spinning. Core spinning involves using a strong fibre as your base or “core” and wrapping fibre around it. You hold it out almost at a 90 degree angle to the core as you spin. I watched some video tutorials online – there is a good one over at the Ashford website. When you look closely at the yarn you can see the fibres run almost horizontal. 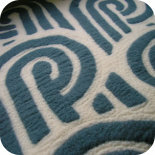 Here it is fresh off the bobbin – a bit twisty. And here it is after wetting and stretching it out to dry. You get good yardage with the core spinning technique. Then onto my homemade yarn swift to wind it into a centre-pull ball with my fabbo yarn winder. I am really pleased with the result. 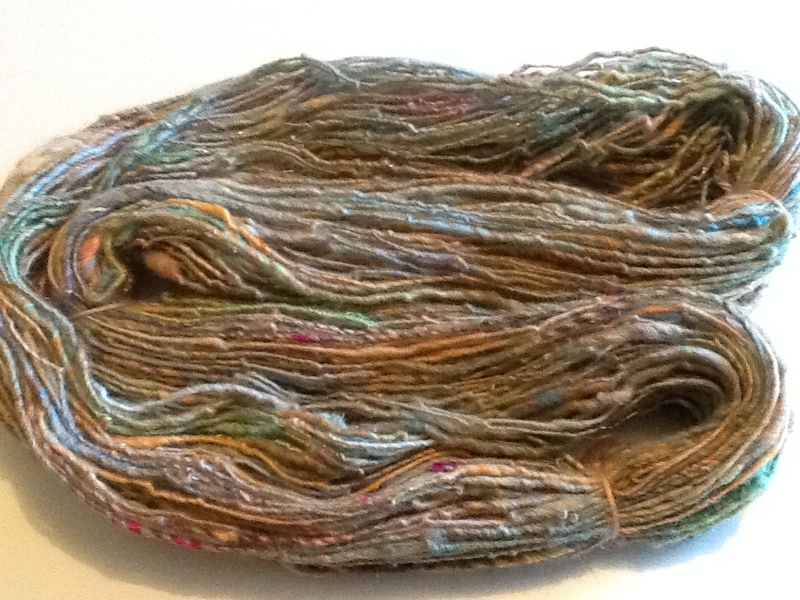 Core spinning is really fun and is a great way to show off fibres when you start with a beautiful batt. 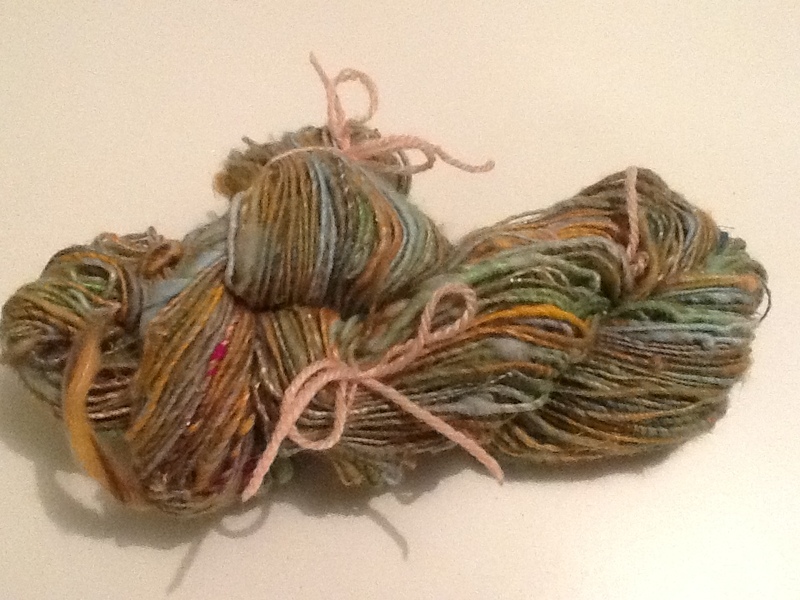 This entry was posted on 24/05/2014 by flicstar in Spinning and tagged ashford, core spinning, corespun, ixchel, spinning.